VEAG’s Andrew PlayStation makes his video game debut this Christmas! Los Angeles, CA – Xbox One owners rejoice! Microsoft has announced that a total of twenty brand new exclusive titles will be arriving on the Xbox One this holiday season. 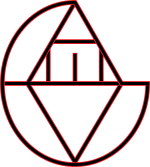 This news comes from this year’s Games Journalist Cafe – an annual event held in Los Angeles where games journalists from around the world gather around to drink coffee and chat amongst each other. Microsoft made their first appearance at this years GJC, and were the biggest attraction alongside the Feminist Frequency booth and the open mic alternative poetry show. The company made their presence well known throughout the cafe, as Microsoft sent booth babes that had entire Xbox One kiosks strapped to their bodies everywhere (this quickly ended, however, as the Xbox One was too heavy for many girls and caused many back injuries.) Microsoft’s main show was very impressive, and was complete with fireworks, babes, and lazer guns. Former Rare employee turned Microsoft Indie CEO Joanna Bond took the stage and talked the future of the Xbox One. Television and the power of The Cloud were thrown around, and then towards the end of the show, Joanna dropped the bomb of that had the the crowd in shock: twenty exclusive simulator games for the Xbox One. 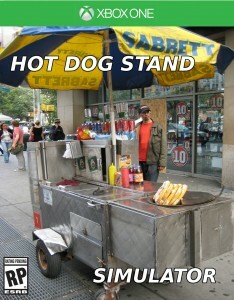 VEAG’s Andrew PlayStation was working Microsoft’s hot dog stand, and was able to get an exclusive interview with Mrs. Bond. We are very aware about the power of the internet. Ever since last year’s E3 event, we realized how much the internet is an influence over the gaming community. Well, we want the internet back on our side, so we did some research. Recently, a game called Goat Simulator has had HUGE success around the internet, and has received nothing but praise everywhere. So naturally, we will jump on the bandwagon to try to capitalize on this new found trend of ironic simulation games, but we here at Microsoft like to think big. Why just stop at one funny game? Why not make two, or five, or twenty? We promise that each ironic game will be just as funny, if not funnier, than the last before. Like I said before, the internet plays a huge roll in the video game community, and video game journalism is a key factor in that. TV is dead, and former stars like Adam Sessler have left the showbiz and have new found fame on their internet. Video game journalists just absolutely love indie games, and will blindly praise a game just because it was made by an indie team. Well, the crowd here at GJC was VERY pleased hear that we hired twenty five different indie development teams to make these great titles. We look forward in bring the best indie experience to the Xbox One, and we hope the internet is looking forward to that as well. By the way bro, I watched you work that hot dog stand like a pro. 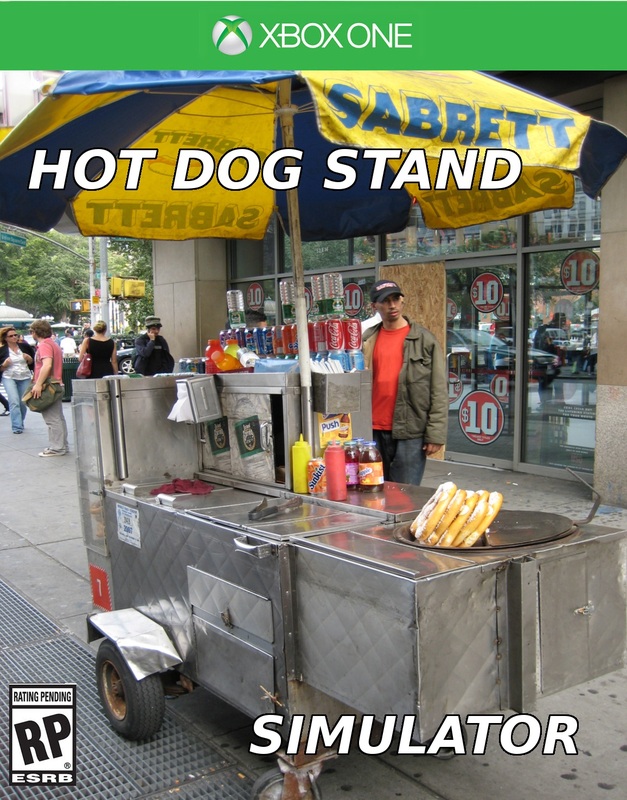 Any chance we can use your likeness in the upcoming Hot Dog Stand Simulator?